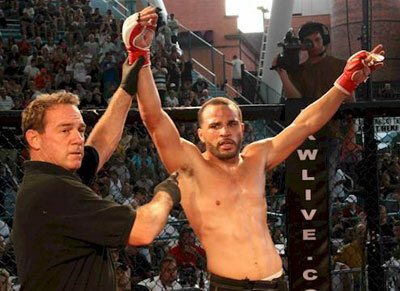 Mixed Martial Arts welterweight contender Chris Lozano camped in the Bellator Fighting Championships turf yesterday. With a clean slate and an intense knockout power, this is yet the biggest platform for his untainted career. The Cleveland-born Lozano collated a 5-0 career record, beating all his five opponents to date by TKO or KO, only one of the five stoppages came after the first round. His latest being that fight, where Pride/UFC pro Jason Dent dropped down before Lozano in the fourth round. The young Lozano started with boxing and Tae Kwon Do, and then turned tow wrestling while he was in middle school. This was his stepping stone to mixed martial arts, as he got in quickly to the Ohio national team for his age bracket and weight class. Lozano is anxious and awaiting at the same time for the chance of fighting against the best in the world. He says he has been looking forward to standing on the cage to get this chance, because for him–this has been a dream come true. I’ve heard about Lozano, he’s really cool. He’s on his way to global titles im sure.